We've been playing Rise of the Tomb Raider for a few days now but we are under embargo until November 9 so we can't tell you what we think about the game. That being said, we are free to show you some very specific parts of the beginning of the adventure in a livestream tonight at 10. Until then, we have a little something for you since we have prepared a commented video of the Prophet's Tomb in high Gamersyde quality. If you want to discover all the environments on your own, then don't watch, but there are no real spoilers considering the sequence starts a few minutes after the beginning of the game. Enjoy! Note: The two videos are the same. Update: Because the settings of the console had changed for an unknown reason, the black level was off. We encoded the video again after adding a correction to the avs file. If it's more of TR 2013, but now with proper tombs and puzzles, challenging ones that is and some new features...i am GOOD. 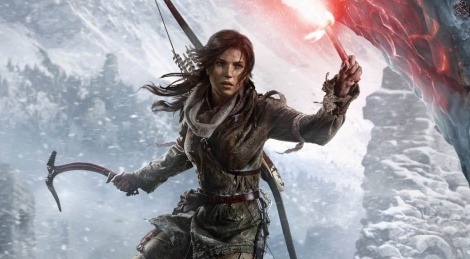 Playing Tomb Raider (2013) right now - about 60% complete - and it is an epic game. It's the perfect game for me, everything just clicks the way it's supposed to. Eagerly awaiting for Rise of the Tomb Raider next week! As for showing the "Prophet's Tomb", you shouldn't be worried about spoiling it, it's the only tomb shown so far, it has been shown a lot in the official videos and it is a "tutorial", albeit a very simple one. It would be nice if you guys showed the Russian Hub area, it's the one with an abandoned factory in the snow setting. It is the same one shown in IGN's 26 minutes video, so I don't believe there will be any problem showing it - just don't show any tombs. I'm interested in seeing more of it and If I'm not mistaken, it's the first Hub area in the game, so I believe it will also be fine to show it. 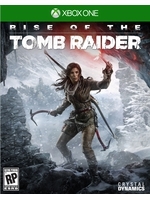 Thanks for doing a livestream and a commented video (preview) for Rise of the Tomb Raider! I'll say it again and again. This game is looking better and better. Apart from the Witcher 3, this game is a must have. More excited for this game than Fallout 4 even though that game will be massive. Looks really good, hope there aren't to many Q.T.E's as it seams from the footage as they interfere with the pace and are interactively limited. It's okay, I'm sure whatever you guys end up showing will be great. Also, I hope the skill tiers and menu items (map, gear upgrades, artifacts, documents, etc) aren't some of those things that might not be ok. Either way, just a few days till RotTR gets released, so don't worry about not being able to show everything you would like, we will get to play the game soon enough. My last question might be one you may not be able to answer because of the NDA or because you haven't played much of the game, but I love TR (2013) and if possible, I would like to know if you're enjoying it more or less than it so far - like the setting, new features, etc. If you can't give details or explain why, a simple "Yes" or "No" will suffice. The only thing i don't like here is that some parts seem way too bright, where it should almost be pitch black darkness. All else is nice for sure. @ 00:26 it seems too bright, even with that blue light thingy. It looks off to me. So i just watched this video and the brightness is proper there. Maybe you guys have the wrong black level setting and colour space on the Xbox enabled? Agreed, seems to be 16-235, it must look better with proper settings. Oh man, I need so much strength not to watch this. 9 days to go!!! Yes, I just was about to post the same. It definitely looks like there is something wrong with the Gamersyde capture. Could you please check your black level (16-235 / 0-255) and brightness settings? Black does not seem to be proper black in your capture. Black is more like gray in your video. Everything looks washed out and there is no contrast. The game looks very bad like that. It would be nice if you could check the settings and re-record. It features the very same gameplay / level as the video here and the black level and lighting in the "GC: Briefing Theater Demo" video is much better. It would be really nice if you could check your settings again Gamersyde. Because this somehow looks like a downgrade, especially in direct comparison. There's plenty of platforming it seems. I decided to replay both Underworld and the Reboot, just finished the reboot yesterday. The side quest puzzles weren't too bad in the game before, it was just more on the rails. I wonder if they'll bring the definitive version on PC, it seems better optimized. I can't seem to get a stable 60 fps at 1440p Ultra settings on my SSC GTX970. Every time her head just appears the frames cut in half, sometimes even less, as low as 19-21 fps. Anyways i don't see a reason why not to bring the definitive version over, they brought the Deus Ex DX cut and Sleeping dogs definitive edition as well over to PC. That's weird, Tomb Raider (2013) on PC is very well optimized for me. But I never cared about Lara's hair physics, so that might be what's causing your problems. You might want to check the game's official forums, Nvidia's page on the game and/or Steam's discussion pages to see if other users with the same problem and GPU found a solution to it. I'm replaying Tomb Raider (2013) right now and am having a blast, though I do agree that the puzzles in it are very easy. While probably not feasible, it would be great if developers created 2 sets of tombs, one for easy-normal diificulties and another for hard-very hard difficulties. But I'm sure project managers would say that would be a waste of resources since it would double the number of tombs, or reduce it since they would need to make 2 versions of each and resources are limited. Either way, Rise of the Tomb Raider is the sequel I always wanted, has running now, an automatic rope climber for those very long rope lines, upgraded systems and gameplay mechanics, bigger Hub areas, more animals and enemy types, better graphics, etc. And it's the second best looking game on Xbox One, after Ryse: Son of Rome. Though it should be mentioned that while RotTR isn't open world per se, it has vastly bigger areas and far more gameplay systems than Ryse. And of course, that Ryse was a launch game from the 1st generation of Xbox One's games, while RotTR is part of the 2nd generation of games. RotTR is an amazing sequel to the already amazing first game, it is actually worth buying a Xbox One in order to play it. It truly shows how much potential the Xbox One hardware has. Crystal Dynamics did an excellent job! The game looks great but the level of antialiasing is very weak. Anyway, awesome graphics for a Xbox ONE. I read up on the forums, It's more to do with TressFX at resolutions above 1080p on Nvidia GPUs, it's more of an AMD feature. you could drop it to 1080p and it would be a lot more stable at 60 fps. or you could bump up the resolution and turn off TressFX. Agreed, and they have steadily been making adjustments to the reboot's sequel. the series has since improved over Angel of darkness, legend and Underworld. The Reboot has been their highest reviewed game in roughly 14 years, since the original trilogy. If anything the developers are doing much better now to the series. That is actually not too far fetched, iPad already has a low level API and their GPU in two years might very well compete with the model in the Xbox one. The anti-aliasing may not be perfect in this part, but compared to the later parts in the snow (now the one where the guy is with Lara) it really isn't too bad at all. Really cool that you guys changed it. Good stuff! could it have to do with the Preview Dashboard? Maybe it has changed some settings? I remember when i went into this dashboard that it had changed the auto off timer to one hour.